If there is a particular craft beer you have come across elsewhere please feel free to ask us to stock it and we will do what we can. The Launch of Meantime Brewery in Greenwich, has been the largest in London and most eagerly anticipated development in the craft brewing industry since 1930. 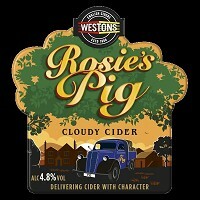 Rosie's Pig, a delicious 4.8% cloudy cider that's named in honour of Westons Cider's first ever delivery truck. Royal Oak's Cloudy Apple is a fresh new take on traditional cloudy cider. 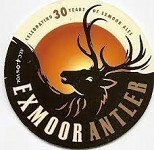 Crafted in Herefordshire with a unique blend of British bittersweet cider apples. Bursting with crisp apple taste and a greater depth of flavour, this new sparkling cider delivers an intense refreshment. Meantime Brew, Alastair Hook, has spent 20 years planning and researching the “quintessential English Lager” his results found that the European lager brewers use very soft water and neutral yeasts ensuring only the flavours of their locally grown malt and hops come to fore. Meantime however sources there malt barley from East Anglia and there hops from Kent both renowned for growing the world's finest. After a long maturation time (minimum 28 day) the end result is a clear light amber lager where “all you can taste is malt and hops. 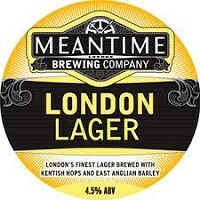 The hops in Meantime London Lager enable it to stand up much better than most lagers to stronger flavours such as mature cheeses, hams and smoked meats, or oily fish.